HOT TICKET is available as a free ebook on Amazon from January 10 – January 14, 2016, and is also available in print at Amazon and Barnes & Noble. At lunch detention, all I could think about was how I better get a shame ticket for accidentally punching Cindy. There's just no way the ticket dispenser could ignore the fact that I just punched the most popular girl in school in the face, right? But still, I worried that the dispenser was going to ignore me again. I'm basically the only sixth grader without a hot ticket. This wouldn’t be a big deal if I didn’t go to John Jay Jr. High. (Triple J, for short.) Everything is hard enough as a 6th grader. We’re the lowest on the totem pole. The tadpoles of the pond. But it’s even worse to be a tadpole without a hot ticket. Hot tickets could be awarded for doing something cool, saying something funny, or sometimes even just wearing something the ticket dispenser liked. All authentic hot tickets were two inch by six inch rectangles made from this orange cardboard material, with “HOT TICKET” written in big bold letters at the top. Hot tickets first started becoming popular about a month after school started. Then there was this rash of copycat tickets on regular paper, but people just tossed those in the trash. Everybody could figure out it was one of their friends that made it anyway. But an authentic ticket – that was something you kept. Some people had their lockers decorated in hot and shame tickets. Some people kept their hot tickets at home to prevent theft. If I got a hot ticket, I would definitely keep it taped on the inside door of my locker. Right now my locker only had a locker mirror, a picture of Lucy and I from my birthday party at Six Flags and these annoying cat stickers from the person who had my locker before me. Fifth grade did not prepare me for this at all. Lucy, my next door neighbor and best friend, came up to my locker between periods. Her smile was so big I could see the bread from her lunch stuck all the way back between her molars. “Why weren't you at lunch?” she asked. “Detention, again. I sorta punched Cindy in the face,” I said. Lucy pulled a piece of orange cardboard out of her back pocket. “You didn’t!” I shouted, prompting stares from the girls next to us. Lucy passed it over and I read the smaller print beneath. I looked up as a couple of sixth graders pointed to Lucy’s hot ticket as they walked by. They smiled at Lucy, but she was still looking at her ticket. “Totally ridic, right? Who could have heard me say that?” she asked. “That could be anybody,” Lucy said as she flipped her hot ticket over in her hand. The bell rang and Lucy and I trudged to our last period, the only class we had together. “So who do you think it is?” asked Lucy. I shrugged as another group of sixth graders pointed to the hot ticket in Lucy's hand. They started guessing what cool thing she could have done, commenting on her new shoes, and how awesome she did in gym class today. Suddenly it felt like everybody in the hallway was saying Lucy's name. But I did care. And if I didn't have at least a shame ticket tomorrow for punching Cindy, then it was time to find out. Juliet Robinson is the only sixth grader in John Jay Jr. High who hasn't received a "hot ticket" from the mysterious ticket dispenser. When one of the dorkiest kids in school - Crammit Gibson - receives a ticket before she does, Juliet decides that the ticketing system has to stop. With the help of her best friend Lucy, a Daria-esque Madeline and her almost-crush Crammit, Juliet is determined to climb a few rungs on the middle school social ladder and catch the ticket dispenser once and for all! 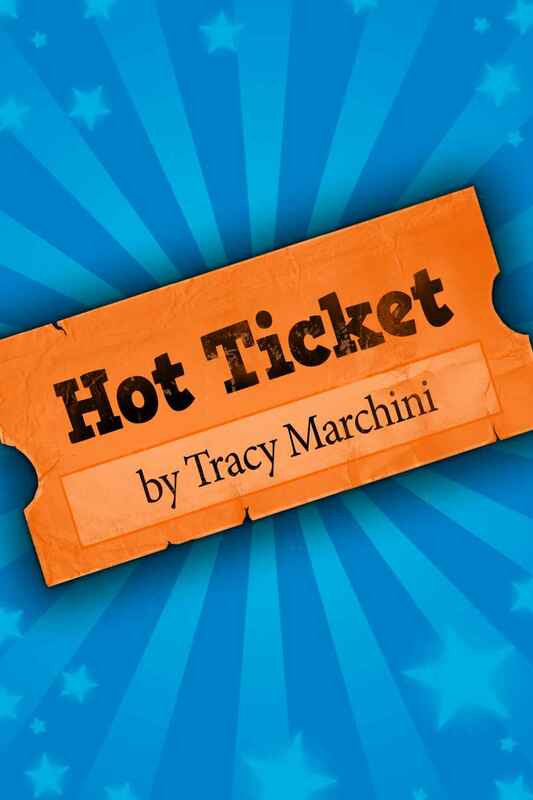 Hot Ticket is a laugh-out-loud middle grade mystery. Tracy went to parochial school and was picked last in kickball for all eight years. Before she graduated with her B.A. in English, she got into a prank war over Jane Austen quotes and was out-pranked by the third or fourth day. She ran the NYC marathon to make up for her years of terrible kickball playing, but has yet to redeem her sub-par pranking abilities. 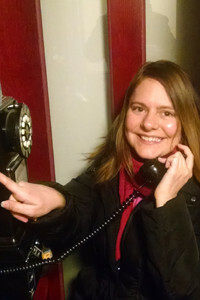 She is now a freelance editor who specializes in children’s and young adult literature, and holds an M.F.A. 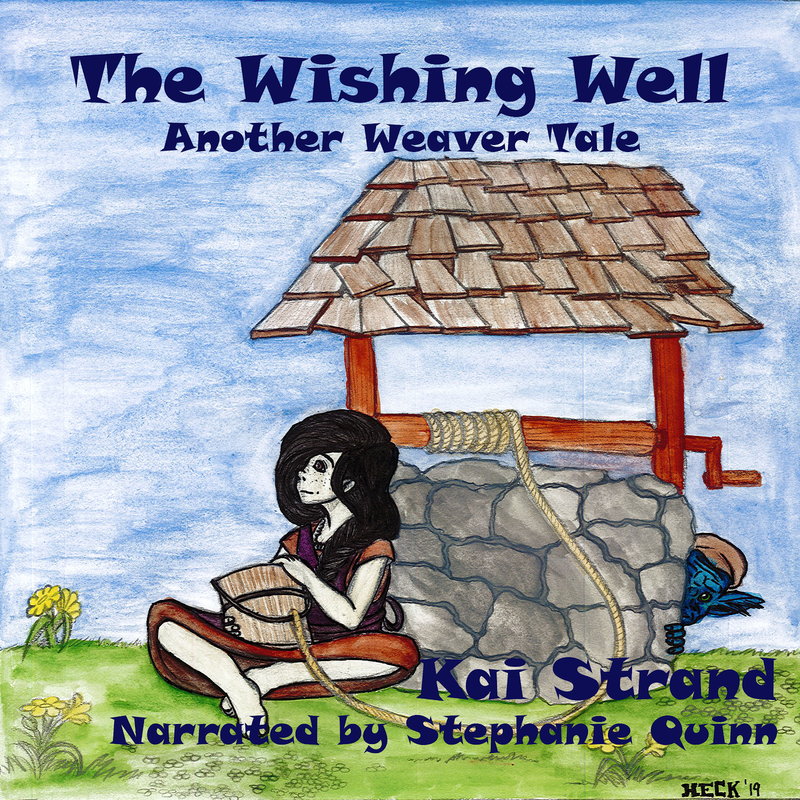 in Writing for Children. Her next book, Rock, is a YA anthology of stories inspired by her favorite songs, and will be published on September 6, 2016. Congratulations, Tracy. Sounds like a fun story that middle-graders should enjoy. Best of luck to you.